Manchester United were 1-0 winners over Bournemouth at Old Trafford on Wednesday evening to maintain our three point lead over Chelsea in third place. Romelu Lukaku scored the game’s only goal midway through the first half and the Belgian striker had our only other shot on target throughout the 90 minutes. At the other end, David de Gea was forced into seven saves from the visitors. This match marked Luke Shaw’s first Premier League start of the season since he suffered a long-term injury back in April. Having been substituted late on, the left-back has not completed 90 minutes in the Premier League since October 2016. The England international put in a man of the match performance in which he picked up 48% of the fans’ votes on Twitter. “Luke was really good and improving, but then, later in the game, he was feeling cramp and they [Bournemouth] felt that and were trying to go through that side so it was important to bring Ashley Young to the game. We have been strongly linked with a move for Tottenham Hotspur’s Danny Rose since the summer, with much speculation that we’ll make a move for the 27-year-old in January. 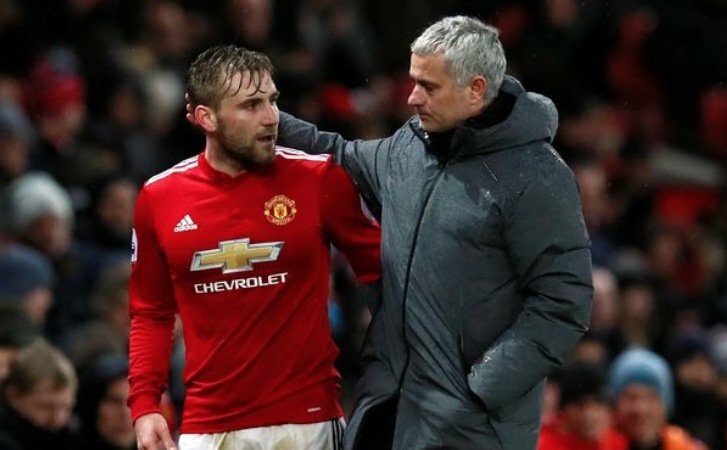 However, those same reports and similar ones claimed that Mourinho was ready to offload Luke Shaw in the transfer window when it re-opens next month. However, including his game against CSKA Moscow in the Champions League last week, Luke Shaw has looked very good in both of his starts this season and has given the boss something to consider with the transfer window close to re-opening. Ashley Young has also impressed at left-back this season and replaced Shaw in the 82nd minute against Bournemouth on Wednesday night. keep Luke Shaw he is a good player.